Thinking about making a pothole personal injury claim? Potholes are the scourge of British roads. They are often at their worst after a particularly cold winter when freezing conditions can damage road surfaces. These holes in roads and pavements are a hazard to drivers, cyclists, motorcyclists and pedestrians alike, causing damage to vehicles and injury to people. If you have been injured in an accident caused by a pothole, you may be entitled to claim personal injury compensation. Call our solicitors today on 0800 808 9740 for a no-obligation conversation about your potential pothole injury claim. Who is liable in a pothole personal injury claim? Hitting a deep pothole can cause damage to the wheels and tyres of your car and potentially steering alignment issues. However, if you hit a pothole at a high speed, it can cause even worse damage. This can also lead to serious injury if it forces you off-course. Cyclists and motorcyclists are particularly vulnerable to injury. Hitting a pothole can throw them off their bike or motorbike. Potholes also pose a risk to pedestrians, resulting in slips, trips and falls that can cause a range of injuries. Local councils are responsible for ensuring road repairs are carried out and that the roads in their area or safe to use. Larger trunk roads and motorways are the responsibility of The Highways Agency. If these responsibilities are not carried out by the appropriate authority and you are injured or your vehicle is damaged as a result, you may be eligible to claim personal injury compensation. Compensation can help to pay for the damage or cover the cost of a replacement vehicle, whether temporary or permanent. If you suffered a personal injury in your accident, the compensation can help to recover any lost earnings. You may also be able to claim for the cost of medical treatment, rehabilitation and any adjustments you may need to make to your home. Hopefully, a settlement will provide some comfort and closure on your personal injury. If you have suffered a pothole accident whether as a road user or pedestrian, it’s important that you gather evidence as soon as possible. Make a note of the time and date of your accident while the details are fresh in your mind. It’s also advised to take a photograph of the pothole alongside an object such as a coin or mobile phone. This will give it a sense of scale. It is important to do this because some local authorities have been known to fill in potholes as soon as they hear of someone making a claim, thus removing important evidence. However, do not endanger yourself to take a photograph. Be sure as well to make a note of the details of your accident. These might include the name, contact details and address of any witnesses to the accident so that your story can be verified. Contact First Personal Injury as soon as possible after your accident and speak to our specialist road traffic accident solicitors. We will assess your claim and let you know if you are eligible for injury compensation. If you decide to go ahead, they will support you throughout your claim with full commitment to a no win no fee agreement. Our expert team will examine every aspect of your case from cause to impact. 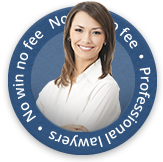 We will put together a claim that ensures you win the compensation you deserve. If you’ve been involved in a pothole accident as a road user or pedestrian, you might be able to claim compensation. For an assessment of your eligibility, call the team of specialists at First Personal Injury on 0800 808 9740. Alternatively, arrange a call back via our online enquiry form and one of our advisors will be in contact shortly.